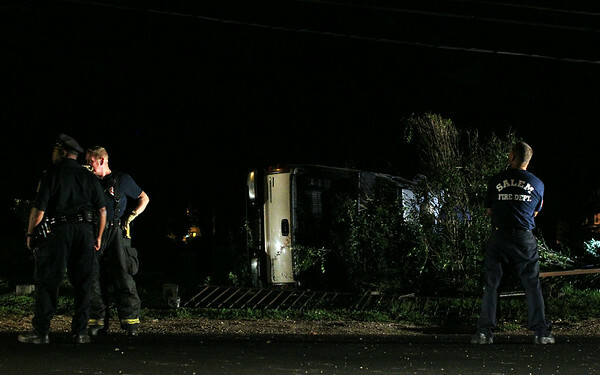 Salem Police and Fire Department members wait for National Grid and a towing company to come to remove a flipped over Chevy Silverado, which crashed through the fence of Greenlawn Cemetery on the Appleton Street side early on Thursday morning. DAVID LE/Staff photo. 8/7/14.